After fighting with eczema and special medication, I decided enough was enough. Soni's Suds was created. No more medication, special expensive soaps and lotions. Just pure natural soap made the old fashioned way but with a little flair. Our formula is a moisturizing blend of palm, coconut and olive oil and rich butters. This formula provides a smooth creamy lather that will clean and moisturize your skin better than commercial products. Vegetable fats and oils, like those found in our soaps, are extremely gentle on the skin. They produce a high glycerin content during the soap making process. 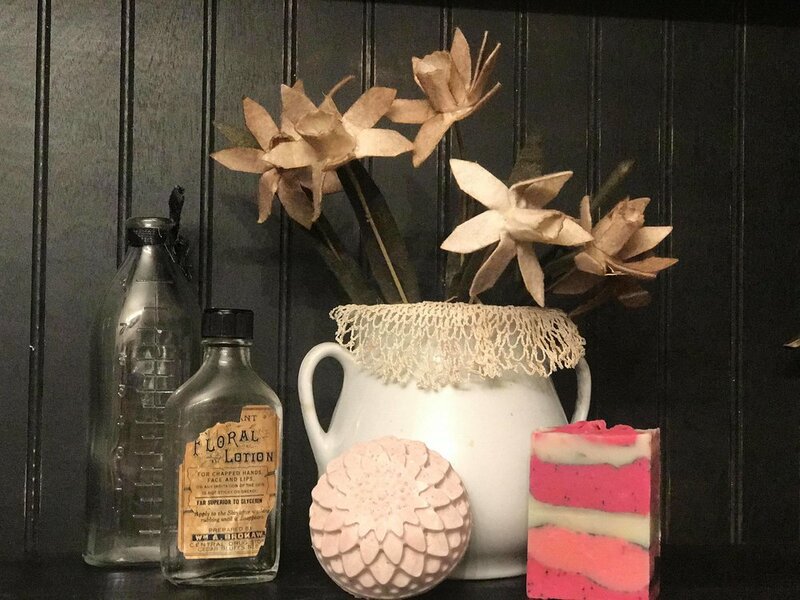 Most commercial soap is made from inexpensive oils or shortening and animal fat; as well as; chemicals used for preservatives or lathering agents. Handcrafted soap is extremely moisturizing because of the high glycerin levels. Glycerin helps to add moisturize to the skin and protect it from drying out. Most commercial soaps have been milled, WHICH extracts the glycerin, leaving a hard long lasting bar that doesn't moisturize your skin. Try our soap. Your skin will love the difference! We now carry a full line of CBD products to help with pain, sleep issues, anxiety, and pet concerns. The pain balm is made exclusively by Soni’s Suds with 99.9% pure cbd crystals and extra ingredients to help aid in pain relief. The crystals are third party tested, contain no detectable THC, and are pharmaceutical formulated. It’s a natural alternative to pain. Works wonderful for sensitive skin. Special scents may be ordered, minimum amount of soap is required.